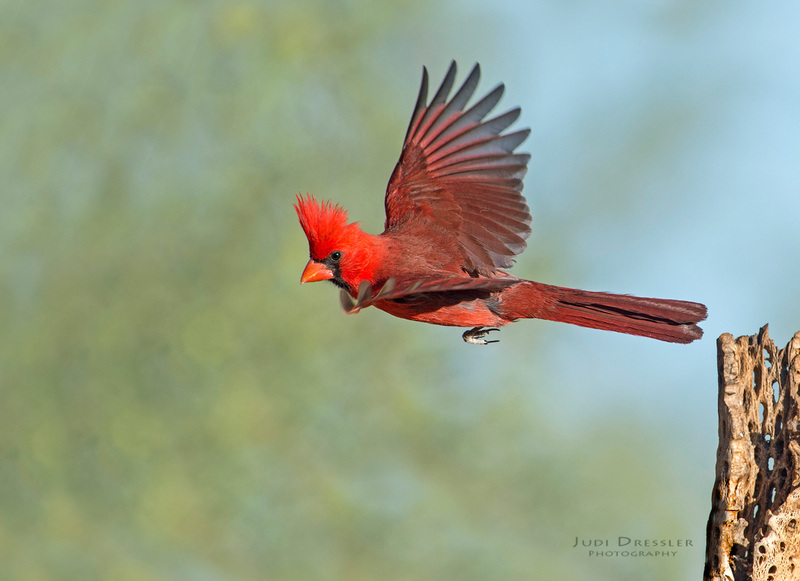 I was happy to get a sharp pic of this Northern Cardinal as he took off from his perch on a cholla branch to head elsewhere. These little birds are so darn fast! I waited and waited for him to take off, and this time, I got the perfect shot.